Usually, a beginner violin has low-end strings. Musician instructors advise their students to replace their strings in order to improve the quality of sound they make with beginner violins. Apparently, violin strings make a tremendous difference when it comes to producing better melodies and rhythms. It’s a personal choice for professional players to decide which type of string to buy when replacing their violin strings. However, it’s a different case for students with beginner violins. Generally, it’s better to use traditional types of string to get excellent playability and sound quality. You need to choose the violin strings that can help speed up your learning while keeping you motivated to play with your best. If you use the right strings, it will help you experience the huge difference of new strings. If you restring your violin, you can upgrade for a high-quality string but not that expensive. To take more advantage of your stringed instrument, you need to re-string it so that you’ll get the best sound. There are high-end sets of strings available on the market today. But you need to find the most suitable one for your violin. Professional violinists and beginners both benefit from a good quality set of violin strings. You can mix and match different brands of violin strings in order to get the best features in one. If you choose big brands of strings, you get fuller, mellower sound aside from quality and reasonable price. Make sure it can reproduce the exact feel and sound you want. Gut strings are better options because they provide more stable pitch. 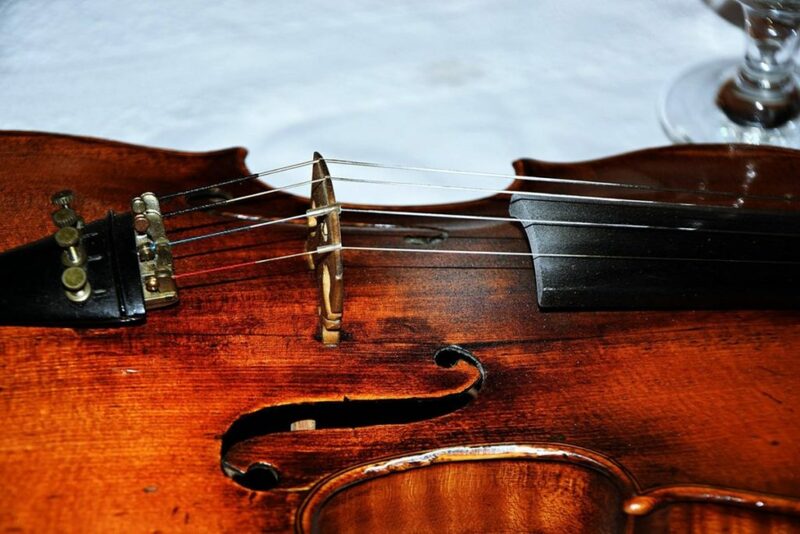 For many violinists, E strings sound too metallic. Therefore, you can swap your brand with another that mellows down the pitch. Also, E strings are the thinnest when it comes to violin strings so they break easily. Choose a specific brand that offers little thicker and more durable E strings so that it won’t hurt your fingers when playing your instrument. The number one thing you need to keep in mind is to keep a backup set of strings for emergency replacement needs. This general rule of thumb will save you from headache, especially if you’re on a performance with an orchestra. This is also an important reminder for beginners and students to avoid inconvenience while practicing their pieces. The type of violin strings you decide to use will have a huge impact on the quality of sound you produce. If you want better playability, then choose quality strings for your instrument.